sbi RSS articles include step by step instructions for using EasyBlogs software. 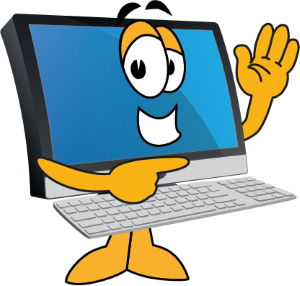 Get detailed information about configuring and setup of your blog. SBI Rss Articles support the SBI Rss Tutorial and EasyBlogs software. This is additional information that didn't make it into the tutorial or added after it was written. This page includes articles about procedures and give more detailed instructions. Appendix Navigate - How to navigate your computer and find your blog pages. One of the most useful things you can learn is what is on your computer and how to find a file or folder that you want to edit. Article Meta Tags - Add keyword and description meta tags to the pages generated in EasyBlogs. You can now add codes to your templates that will insert default keyword and description metatags to all the pages of your blog. Articles How To - How To Use the Articles Page Feature and Suggestions Even If You're Not Creating Articles. Easy Blogs lets you create article pages that will be indexed into the blog system, AND these articles are RSS'd right away! Category - How To Set Up a Category On Easy Blogs. Category setup is a must in my opinion. Categories can add a third dimension to your blog. Consider this -- you get yet another content keyword focused page(s) on your website that automatically creates links to your blog entries. Categories Template Codes - Categories Template Codes To Set Up Categories Links In Your Template Navigation Menu. Learn how to add category links to your navigation structure. Depending on the settings you chose in the advanced options determines how you should set up your links. Custom Variables - SBI Rss Articles tutorial explains using custom variables for meta tags, description and global tags. Uses include adding advertising banners, counters and AdSense code. There are a number of custom variables available at the global level to allow the advanced user to customize templates beyond the basic blog. Easy Blogs faq - Frequently asked questions and answers. Your question may have already been asked and answered. Please read the faq to find answers. Easy Blogs Page - Getting Familiar With The Pages That Are Generated by Easy Blogs What and when to upload and RE-upload. 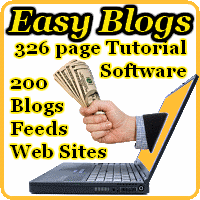 This SBI Rss Tutorial is meant to clarify which pages are generated by the Easy Blogs software. So that you become familiar with the contents of your EasyBlogs2 folder that is stored on your computer. 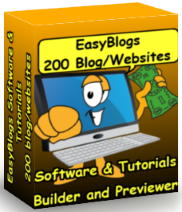 Easy Blogs Template System - Understanding How The Easy Blogs Template System Works. The Easy Blogs template system is very versatile and is comprised of several sub-templates and sections. By dividing up the code into separate sections more control over the different pages is obtained. Free Form Page - allows webmasters to create an unformatted page. Which means you incorporate all the html in the page instead of using a pre-formattted template page. This is excellent for changing or adding code to the head section. Use this page to remove non-allwed content like advertising. Great for 'thankyou pages, after purchase sales pages, etc. News Blog - Ideas for what to put in your blog if you get stumped or can't think of anything to write about. Ten tips to get you beyond writers block. Options Settings - If you didn't set up your blog the way you wanted in the tutorial on setting up your blog, then use this tutorial to make changes to your original settings. Orange Rss Button - How To Remove, Add or Modify the Orange RSS Button On Your Easy Blogs Pages. How important is the orange rss button? Every blog I've seen has at least one. But how do you make the RSS/BlogIt buttons work in Easy Blogs. Read on and find out. SBI Advanced Options - Learn how to dramatically increase your content and pages in Easy Blogs. Follow these tips to get the most out of your SBI Easy Blog. Mini-tutorial explains what each advanced option is and how to use it. Be sure to check back often as we continue to add SBI Rss Articles.